Valentine’s Day isn’t just about romantic love — and heart-eye emojis and flowers and candy and dinner at a fancy restaurant. It’s about all kinds of love, including your love for your littles. Kids often adore Valentine’s Day — all those construction paper valentines don’t make themselves! And while it’s easy to appease kids in the holiday spirit with pizza and some candy, there are other fun ways to stretch your kids’ Valentine’s Day party out — and get them thinking, moving and having fun. Whether you’re looking to host a Valentine’s Day party at your house with your family and friends or are neck-deep in planning for a class party, here are a few ideas that will keep the kids engaged and the party hopping. Luckily for us, there are talented people out there who spend time creating amazing things we can just print out at home. 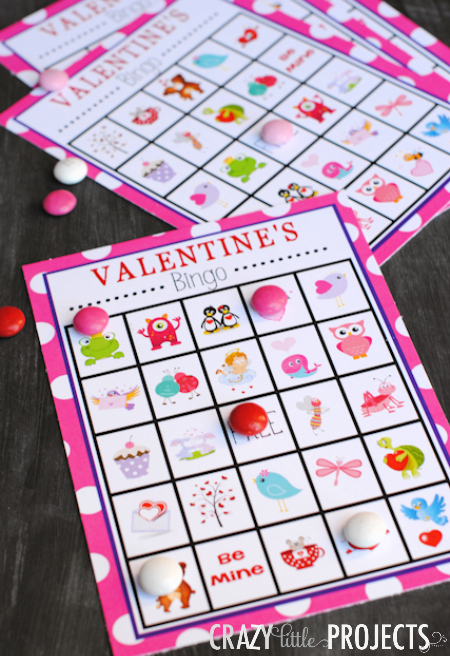 For Valentine’s Day, Amber from Crazy Little Projects has this amazing bingo printable that makes Valentine’s Day interactive and fun. Simply print out your boards and cards for drawing, choose the candy of your liking, and get busy having tons of fun. You and the kids will love it. 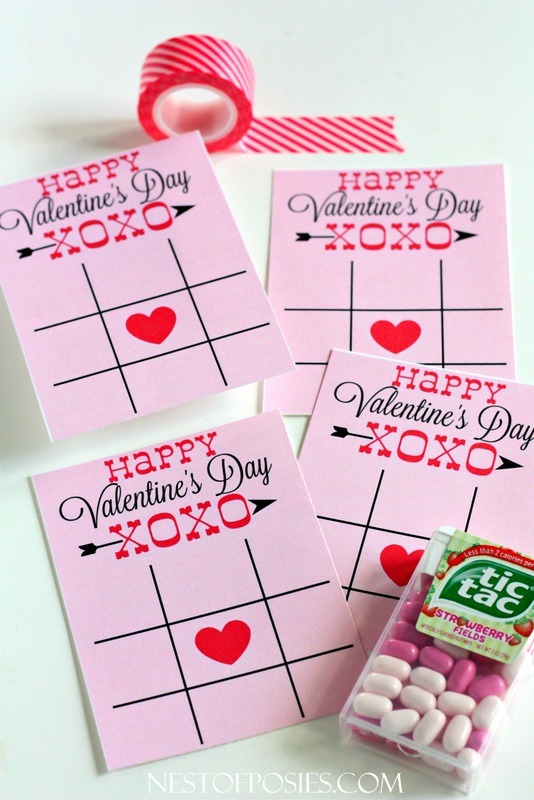 While you could always print out these nifty cards and hand them out as actual valentines, it’s kind of a more fun idea to distribute them as part of a Valentine’s Day party — along with, of course, Tic Tacs. Sure, this idea involves a bit of printing and cutting (get a paper cutter; seriously, they’re the best) but a little DIY action can result in a whole lot of fun times at your Valentine’s Day soiree. You know those little conversation hearts, right? That classic Valentine’s Day candy that’s been around since probably the dawn of candy. You can use those for a party game that takes little preparation but is tons of fun. Each child gets a handful of hearts and lays them out flat on the table. At the signal, they stack the hearts. Sounds easy, but these little candies are not perfectly flat, so it’s challenging. Set a timer for 20 or 30 seconds, and whoever gets the highest tower wins. 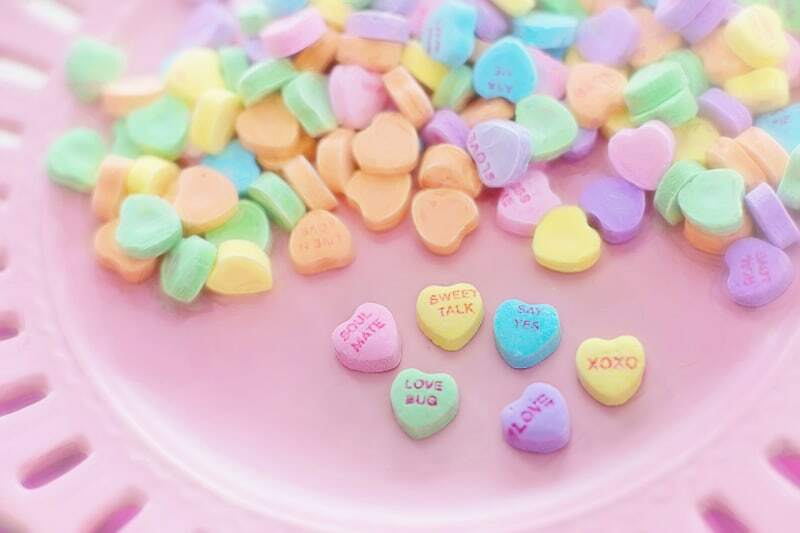 This is another candy heart game that is super-easy to prepare. 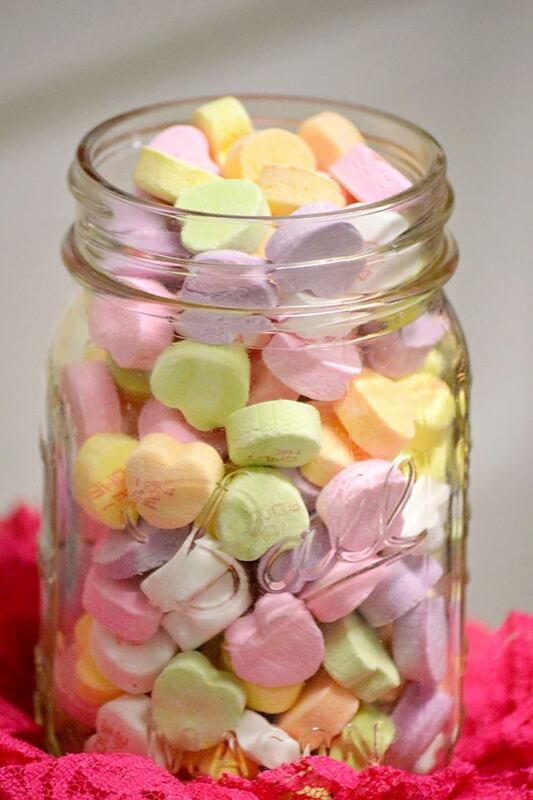 Simply grab a jar — a regular Mason jar will work — and load it with candy hearts (count how many there are first). Kids write their guess and their name on a slip of paper, and whoever is closest to the correct answer wins. As for the prize, simply hand over the jar to the winner (or consider handing out boxes of candy hearts to all participants if you want to be fair). As for candy heart games, that’s not all: You can invite kids to race by moving hearts from one cup to another — with chopsticks. Or have them place hearts on a spoon, speed-walk a certain distance and transfer the hearts to a classmate. You can even get younger kids involved “helping out” by counting the hearts and sorting them by color. 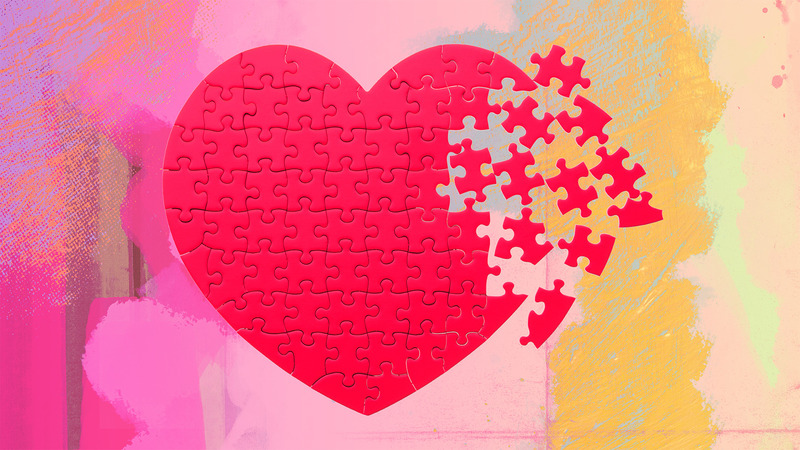 Valentine’s Day party games don’t have to be a huge, expensive deal; on the contrary, there’s plenty to DIY. Plus, kids will probably be so jazzed up with all the sugar and Valentine’s Day excitement, they’ll be thrilled about whatever you manage to pull together.